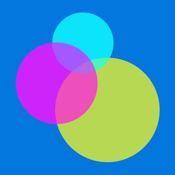 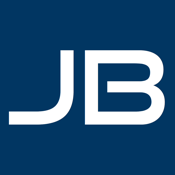 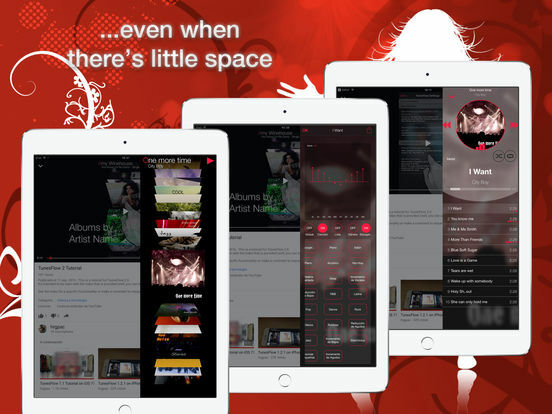 There are many iPhone applications for music lovers to choose from. 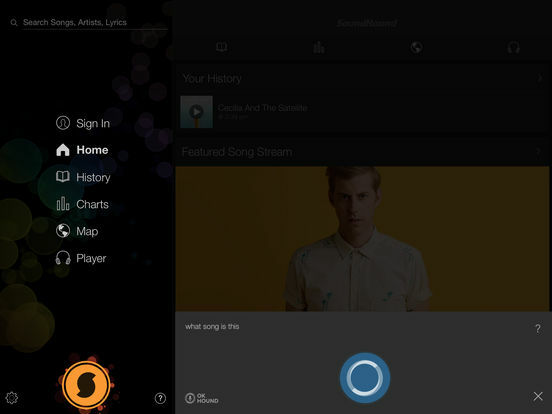 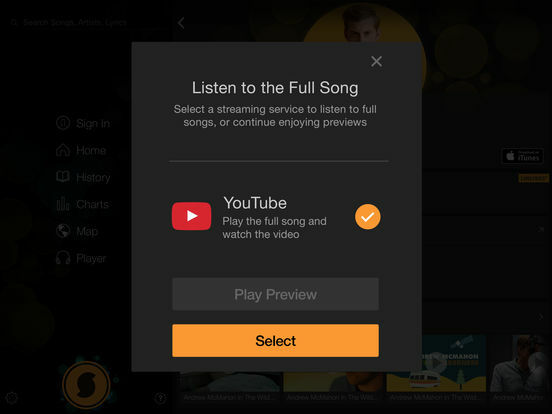 These apps can enable users to listen to the latest songs, download their favorite tunes, add them to their personalized playlist, or simply sing along. 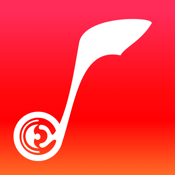 Check out our list of the best iPhone apps for all the music lovers out there! 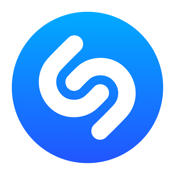 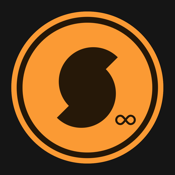 When you're looking for a way to identify any song and the artist singing it, simply download Shazam. 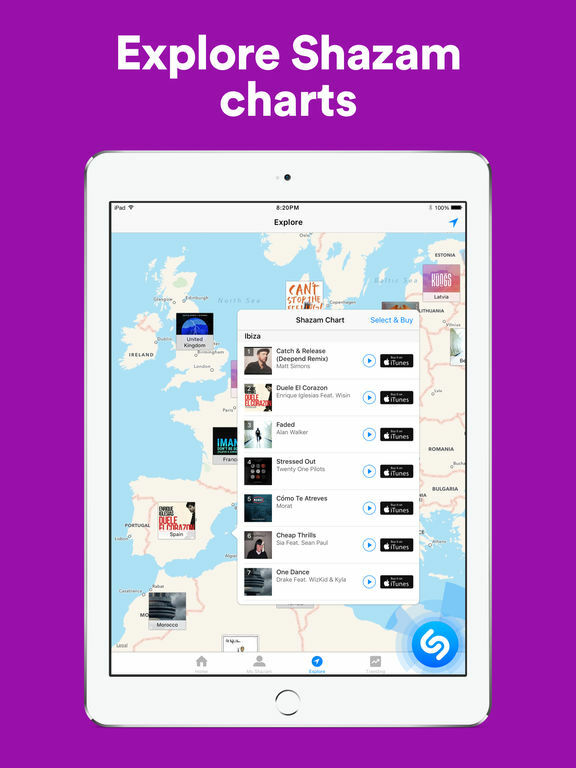 For users who like to keep track of their favorite artists' latest releases such as singles or albums, this application is the way to go. 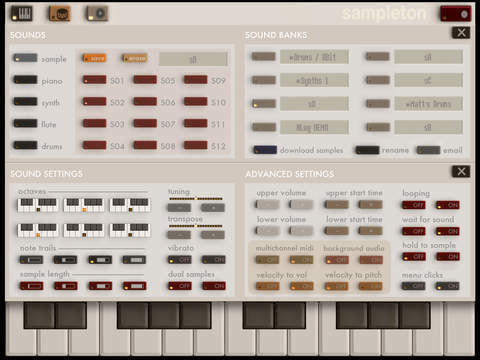 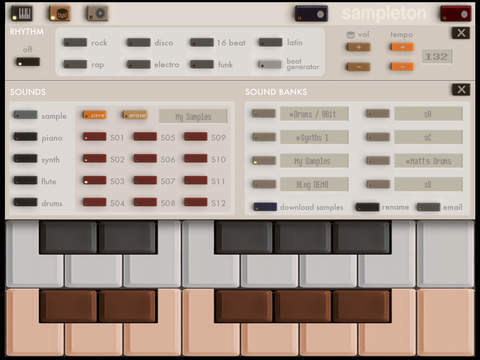 This app gives you access to some incredible samples and plenty of features to help you create incredible music. Is radio music lacking in the variety department? 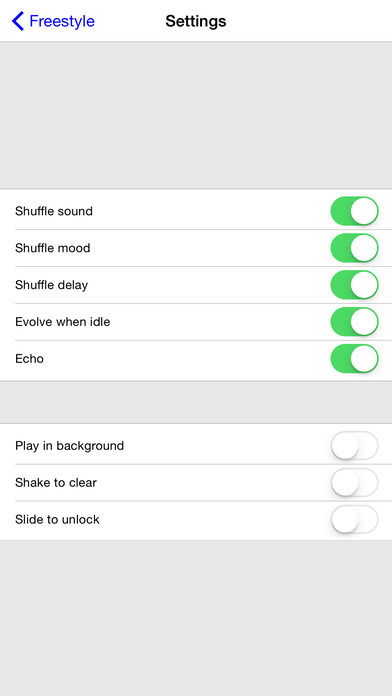 Here’s a great alternative. 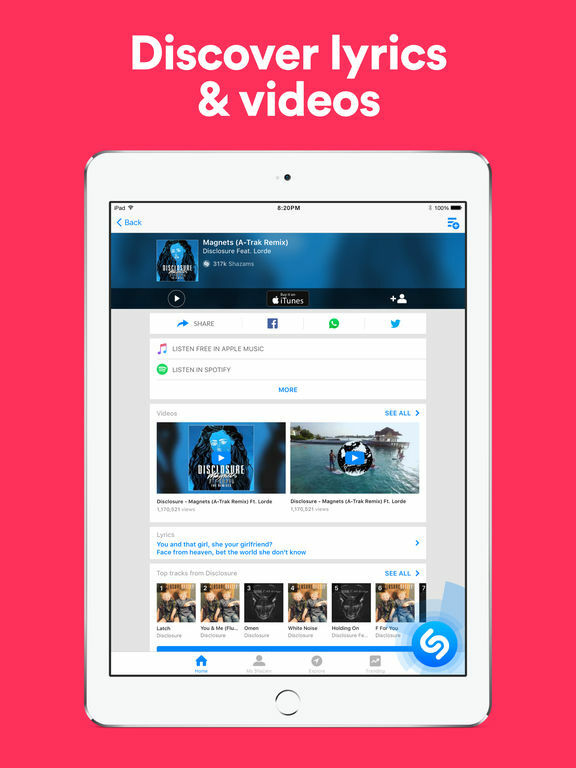 A couple of years ago, this app was frequently featured for its too-gimmicky-to-be-true concept, but thankfully, the user experience has been tweaked to such an extent that it really is the best of its kind out there for the iOS today! 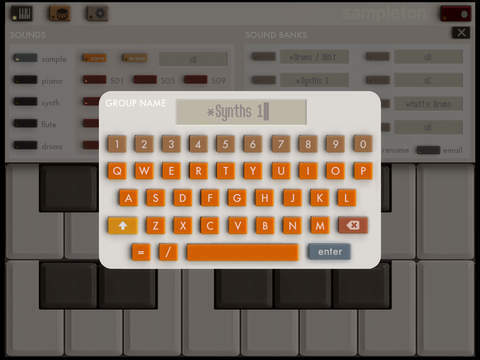 Leave it up to the electronic minstrel, Brian Eno, to come up with a musical app that is as much about themes as it is about textures. 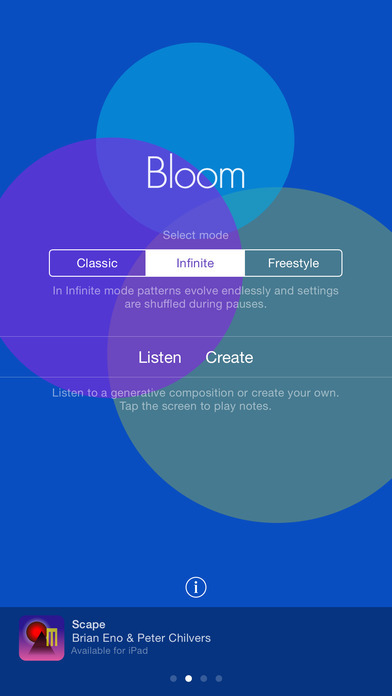 For all intents and purposes, Bloom is just a flashier counterpart to the No-Wave movement of the early ‘80s! 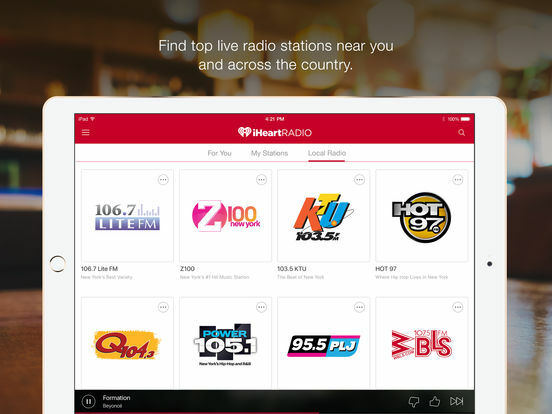 Users can listen to more than a thousand radio stations from different countries with this app! 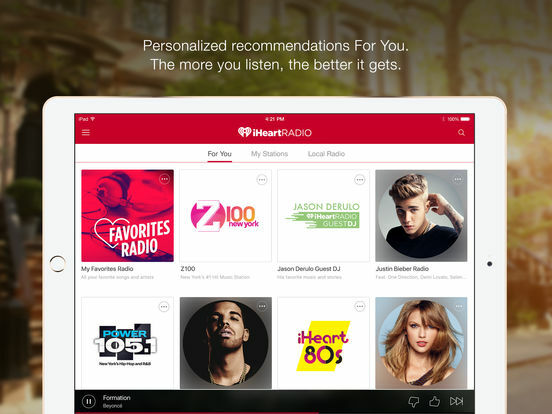 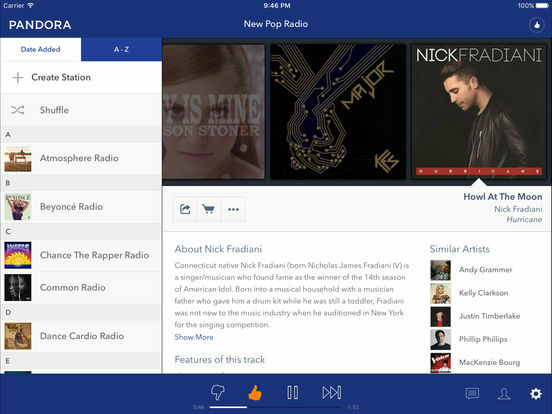 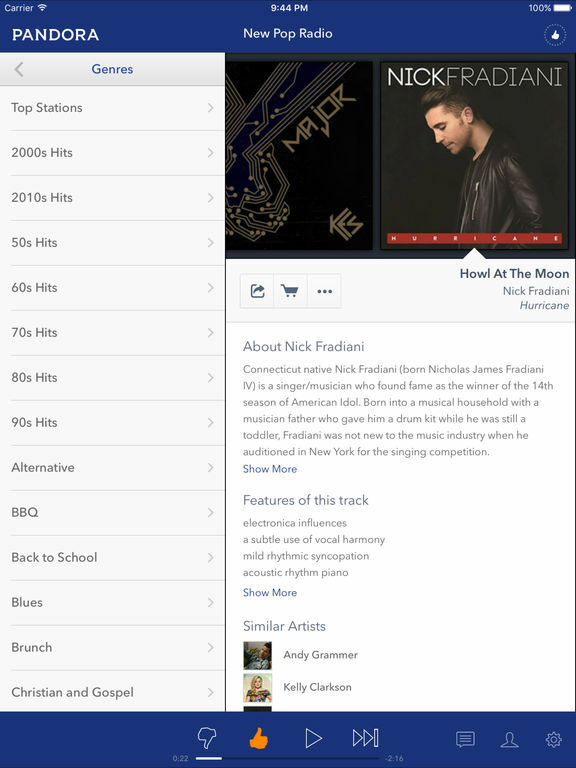 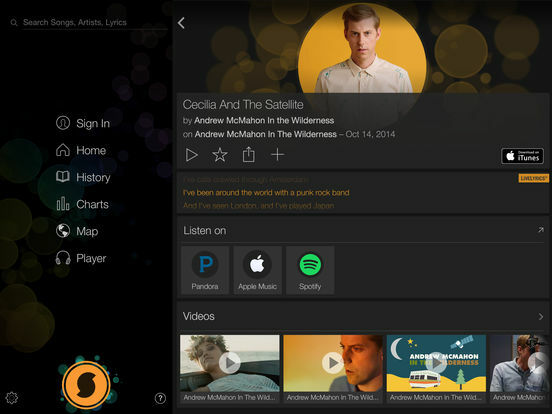 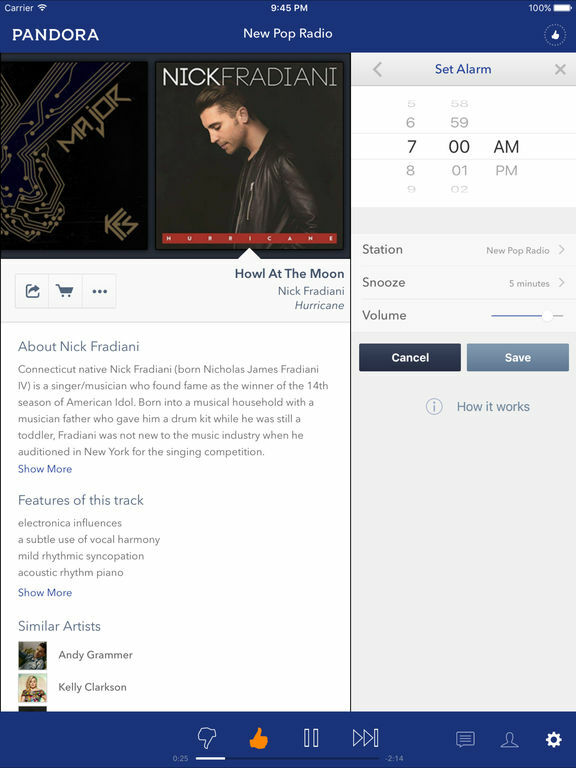 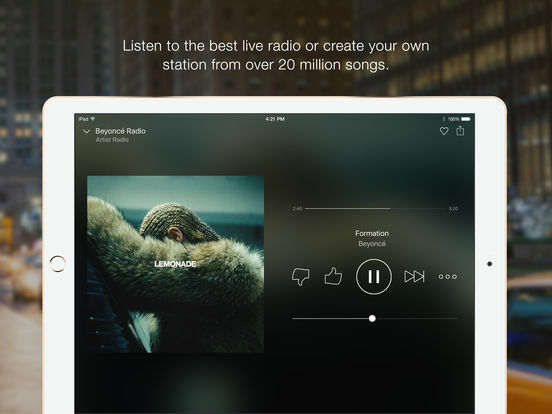 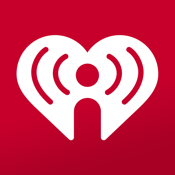 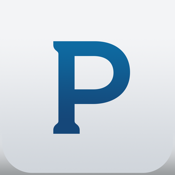 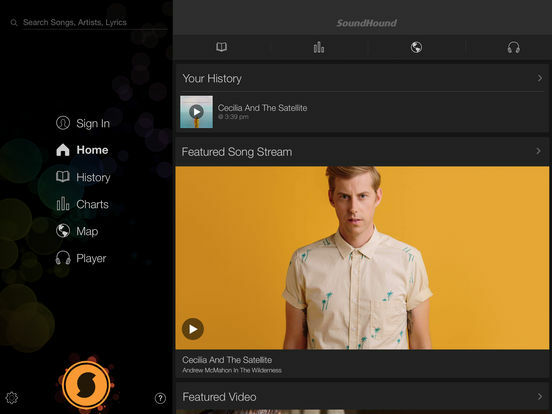 This highly-touted radio app will help you discover new artists that you're sure to love. 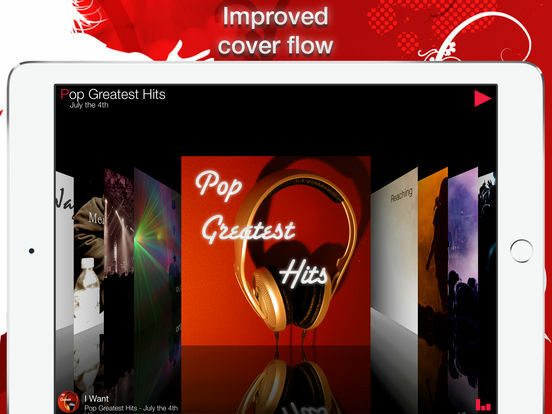 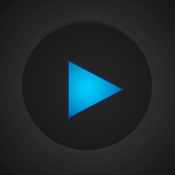 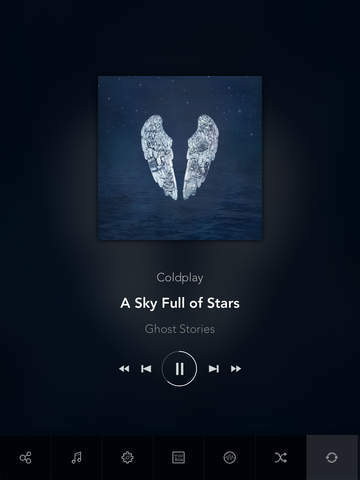 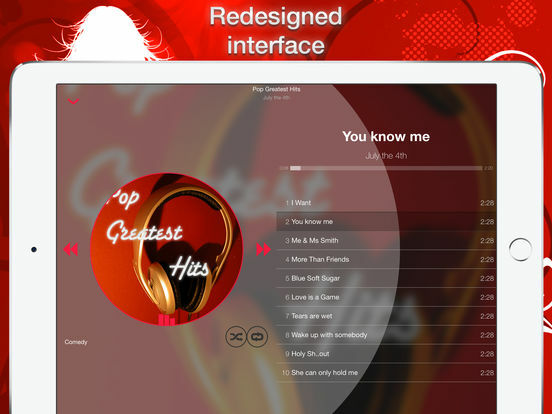 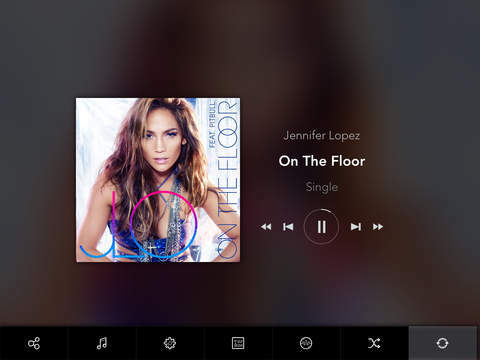 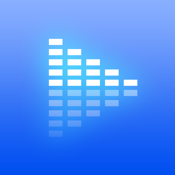 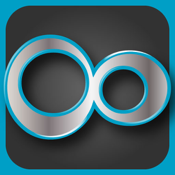 This app is a dedicated music player which has been refined over time to bring you the ultimate user experience! 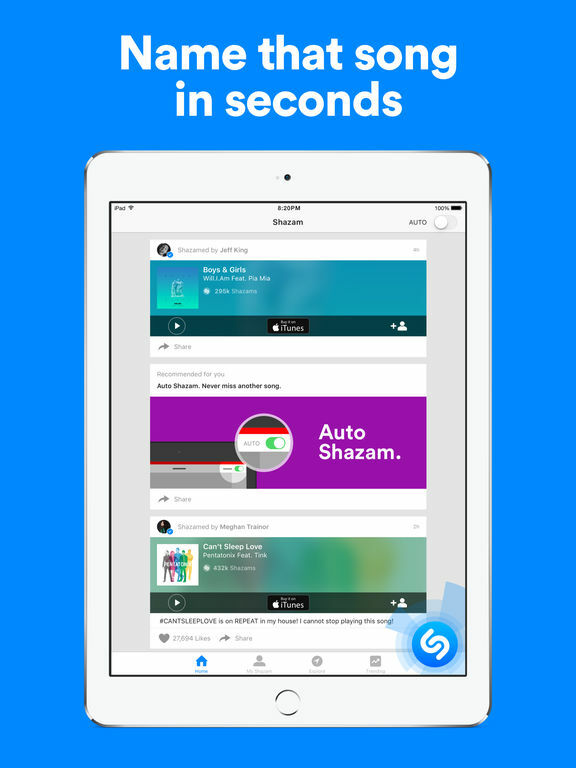 If you're the kind of person who enjoys discovering artists and listening to their music albums chronologically, then this app is sure to appeal to you. 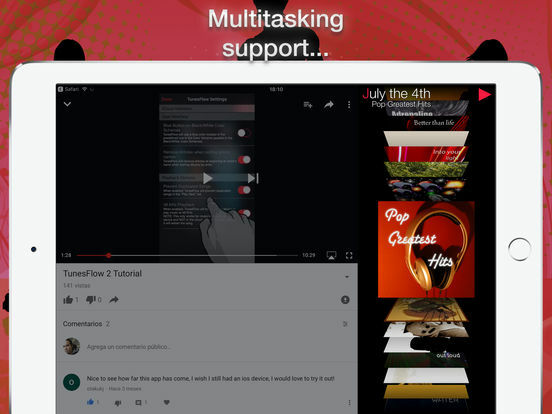 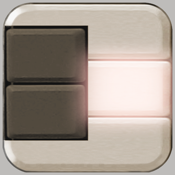 Gesture-based controls, sleek skins, and an easy-to-use interface: this app has it all. 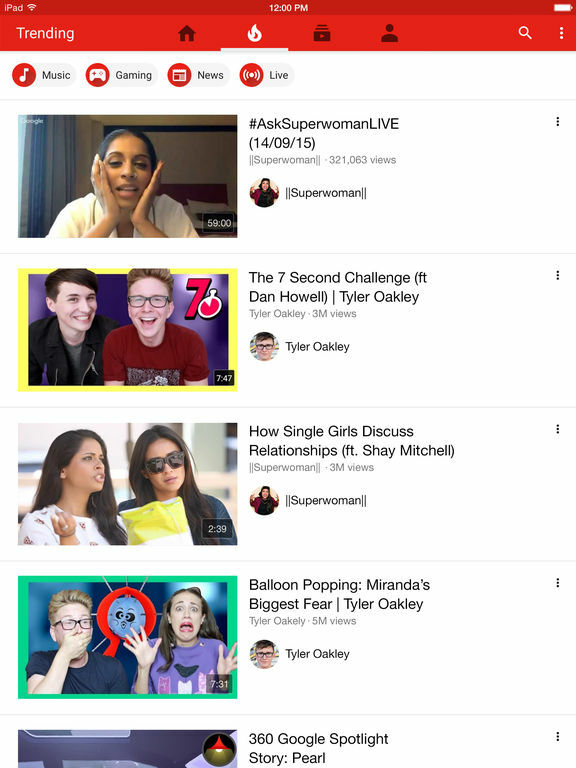 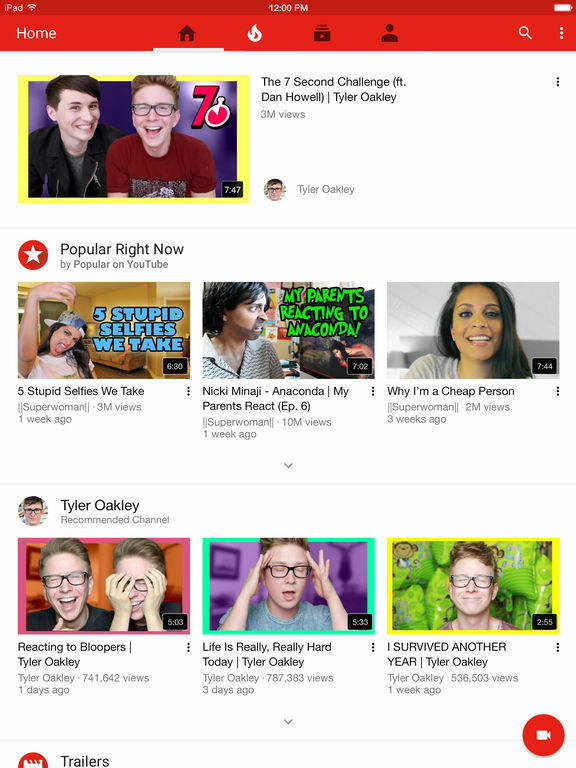 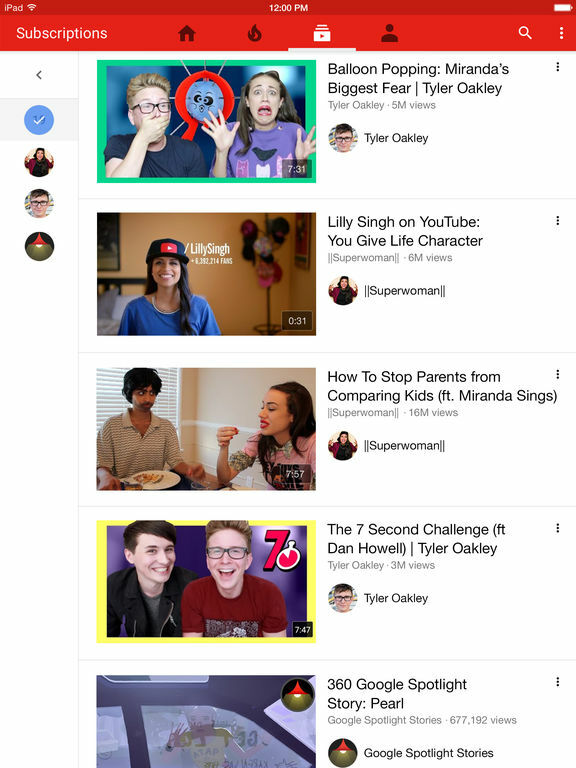 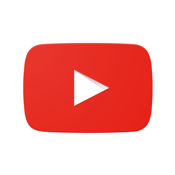 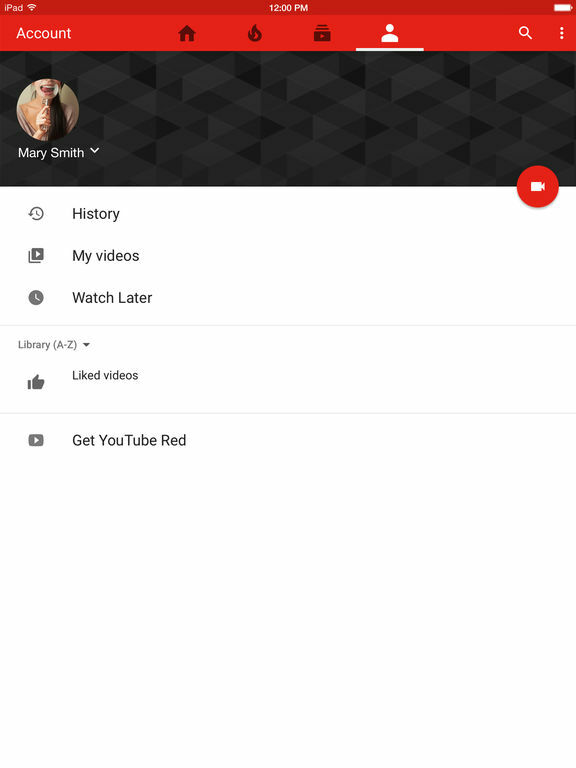 This is the official YouTube app which will connect you to the largest database of videos ever!